The concept of Green Exercise has now been widely adopted and implies a synergistic health benefit of being active in the presence of nature. 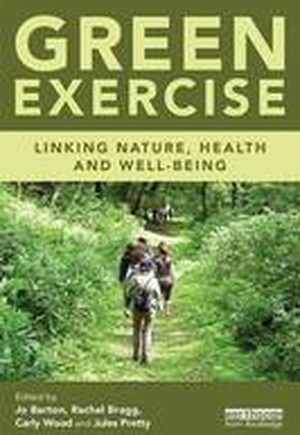 This book provides a balanced overview and synthesis text on all aspects of Green Exercise and integrates evidence from many different disciplines including physiology, ecology, psychology, sociology and the environmental sciences, and across a wide range of countries. It describes the impact of Green Exercise on human health and well-being through all stages of the lifecourse and covers a wide spectrum from cellular processes such as immune function through to facilitating human behavioural change. It demonstrates the value of Green Exercise for activity and education purposes in both schools and the workplace, as well as its therapeutic properties. Green Exercise is an effective intervention for vulnerable groups and promoting healthy ageing, with activities including wilderness therapy, therapeutic horticulture and the use of forests and water. Chapters also integrate cross-cutting key themes which are relevant to all stages of the lifecourse and have significantly contributed to the Green Exercise research base, such as forest bathing and blue exercise. The book also explores the future of Green Exercise, the way in which research can be used to influence green design and planning and how health, social care and environmental agendas can be integrated to enable Green Exercise to be more widely used as a mechanism for improving health.